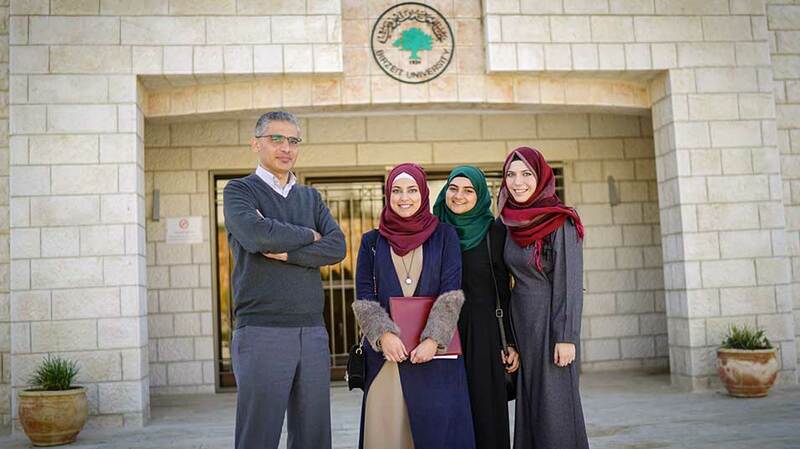 For displaying good implementation of knowledge in serious gamification, Birzeit University has emerged winner of the Ja-Pal’s DigiBiz Solution 2018 held recently in Jericho. The university also won fourth place in the competition. Computing master's student Wafaa Ihmooda won the competition for designing a computer game to facilitate the learning of children with autism in Palestine, under the supervision of the supervision of Professor Mamoun Nawahda. The project, according to Nawahda, works to develop serious educational computer games that can help children with autism communicate and interact better with their surroundings. Additionally, computer science students Juaman Sa’d, Tasneem Jamjoum, and Du’a Assaf got fourth place for creating a video game that simulates life in the Old City of Jerusalem, highlighting Israeli violations against inhabitants of the city. The game is named “Heaven’s Gate,” and was done under the supervision of Professor Nawahda. Nawahdah noted that “Heaven’s Gate” aims to present Jerusalem from an Arab perspective, in light of the continuing attempts at Judaization that the city has experienced. The video game displays, in a remarkably realistic fashion, the mores and praxis of the city and the Arab heritage of food, desserts, and traditional fashion displayed therein. The Ja-Pal’s DigiBiz Solution is an initiative launched by the Palestinian Information Technology Association of Companies (PITA) and Palestine Information & Communication Technology Incubator (PICTI) in partnership with the United Nations Development Programme/Programme of Assistance to the Palestinian People (UNDP/PAPP) and funded by the Government of Japan. This competition aims to identify creative change makers from East Jerusalem, the West Bank and the Gaza Strip.